I honestly wasn’t sure if I was going to keep reading this series but having book 2 (and 3!) available so soon after finishing the first had me thinking I might as well. I’m glad I stuck with it though as the second book is a marked improvement on the first’s rush across the kingdoms. 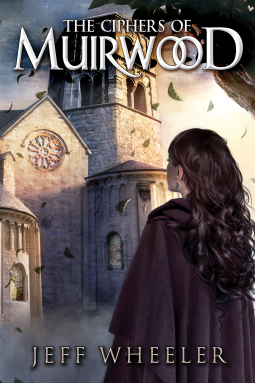 This time Maia finally has a place of safety and comfort at Muirwood Abbey as she studies towards her Maston test and fulfilling the Covenant that requires her to open the Apse Veil. Having this safety and time works well for Maia and her character flourishes. It also means that the author can introduce more about the political situation in the kingdoms and build up a friendship between Maia and her female Companions. Collier also returns to Maia at Muirwood after being ransomed from his capture. I’m not generally a fan of romantic plots but I do enjoy this one. The tragic aspect due to Maia’s curse as a Haetara and Colliers understandable hurt anger after her betrayal make it far more interesting than usual. Another aspect I really enjoyed was the little extracts from Richard Syon at the start of each chapter – some real wisdom there! Maia is still an intensely nice, forgiving and meek character and I think if she doesn’t start being a bit less obviously so in the next book it may start detracting from the series which would be a shame.